Naturopathic medicine is an integrative system of medicine which focuses on the prevention and treatment of illness using natural approaches to therapy such as herbal medicine, clinical nutrition, dietary modiﬁcation and lifestyle approaches. Naturopathic medicine focuses on identifying the underlying causes of disease or ill-health. Prevention of illness, education and encouraging personal responsibility and self-empowerment, are also part of the naturopathic approach. This integrative approach to treatment considers the various range of physical, emotional, mental, social, spiritual and environmental inﬂuences that affect a person’s health. This approach considers the patient’s unique conditions, needs and circumstances and considers the most appropriate interventions from various scientiﬁc disciplines to help people regain and maintain optimum health. 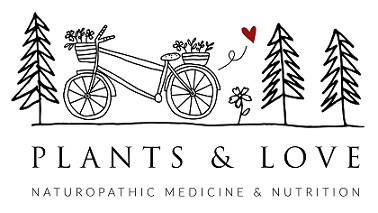 In addition to being educated in the sciences, naturopathic practitioners study holistic approaches to therapy such as clinical nutrition, botanical medicine, psychology and counselling, with a strong emphasis on disease prevention and promoting wellness. The Healing Power of Nature: Naturopathic medicine recognises the body's inherent ability to heal itself. Naturopathic practitioners identify and remove obstacles to recovery to facilitate this healing ability in patients. Identify and Treat the Causes: Naturopathic practitioners seek to identify and remove the underlying causes of illness, rather than only to eliminate or suppress symptoms. Doctor as Teacher: Naturopathic practitioners educate patients on how to achieve and maintain health patient and encourage self-responsibility for health. Treat the Whole Person: Naturopathic practitioners treat each individual by taking into account physical, mental, emotional, genetic, environmental and social factors. Prevention: Naturopathic physicians emphasise disease prevention, assessment of risk factors and hereditary susceptibility to disease and making appropriate interventions to prevent illness.